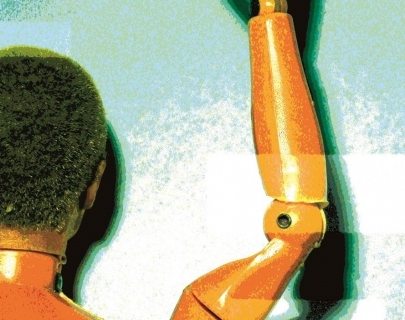 Tim Crouch’s first play, My Arm tells the story of a man who has lived for thirty years with one arm above his head. It’s told with all the authenticity and detail of a first person autobiography. It’s a totally honest and convincing piece of theatre performed by someone who never lifts his arm. Not once. My Arm is a study of bloody-mindedness, modern art and how the things we do when we’re ten stick with us for life. During its sixty minutes it absorbs the audience completely into the fiction of its story – using the minimum of device to suspend the maximum of disbelief. It’s mesmerising – teasing, profound and beautifully written. This is a rare chance to see the starting point for a unique body of performance work. Work that includes such ground-breaking plays as An Oak Tree, The Author and Adler & Gibb.